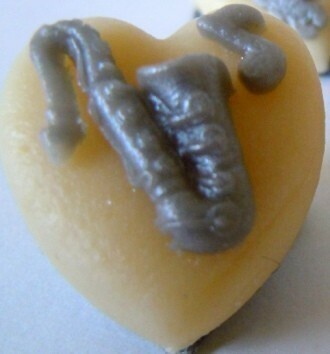 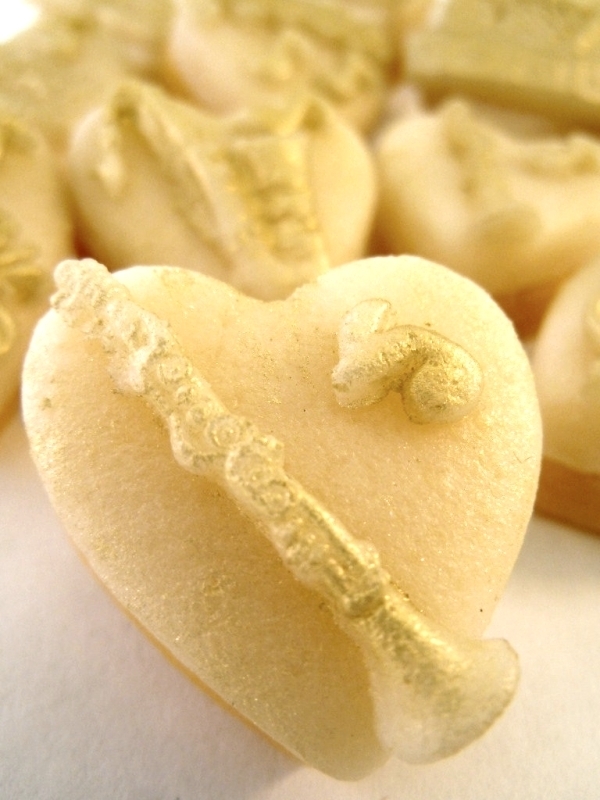 Made from 100% marzipan, miniscule musical instruments - saxaphone, clarinet, trumpet and lots of others - decorate white marzipan hearts. 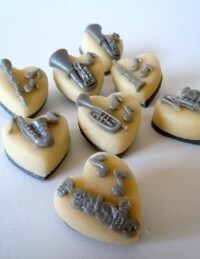 A wonderful way to treat any music lover. 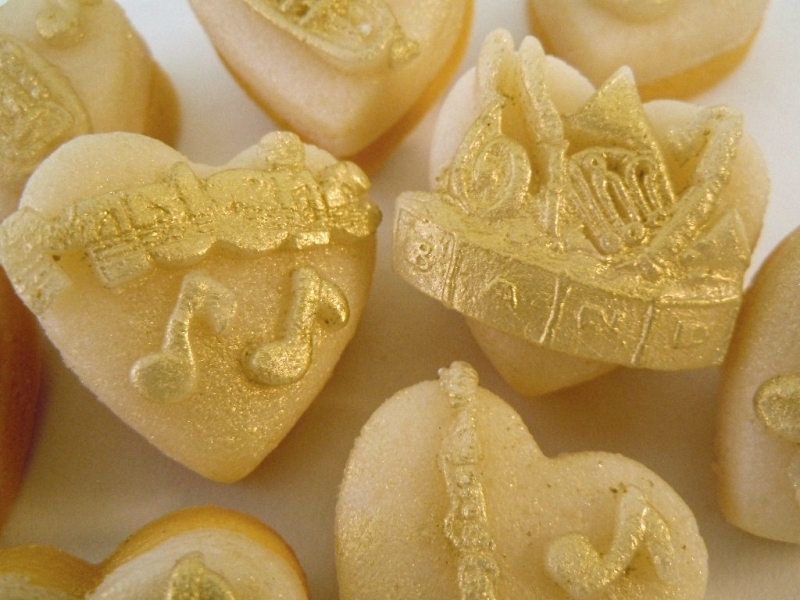 Choose from gold or silver decorations.